A molecule that controls intestinal cell growth plays a dual role maintaining gut health and promoting diseases such as cancer, says a study in eLife. The discovery in mice sheds light on the intricate mechanisms that control cell turnover in the gut, and provides a potential new therapeutic target for intestinal diseases such as bowel cancer. The lining of our intestine renews rapidly, replacing all of its cells approximately every three days. This rapid turnover is driven by “intestinal stem cells,” precursor cells that originate in tiny crypts deep within the intestinal lining and migrate to the intestine surface where they mature. Two groups of intestinal stem cells exist: an ‘active’ pool of cells that multiply at a steady rate to replace mature cells, and a “dormant” group of reserve stem cells, which spring into action in response to damage. It is known that the groups are controlled by different mechanisms, but exactly how they each respond to different signals in health and disease remains unclear. Recently, a group of molecules called microRNAs has been linked to the maintenance of normal intestinal cell turnover. “One microRNA called miR-31 is of particular interest in intestinal stem cells, because its levels increase during the progression of inflammation-associated bowel tumours,” explains lead author Yuhua Tian, a postdoctoral researcher at China Agricultural University in Beijing. This prompted the team to study the function of miR-31 in mouse intestines under normal conditions and after injury. They found that miR-31 was most present in the intestinal crypts, in cells that were actively growing. 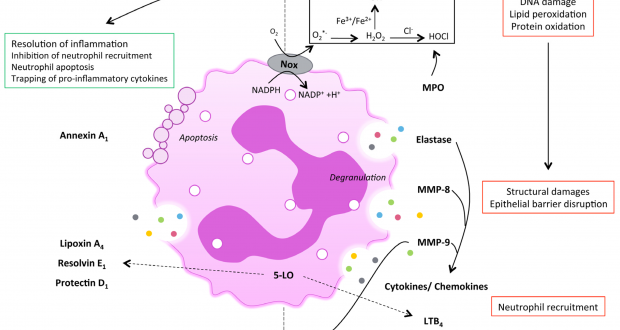 After radiation exposure, miR-31 levels sharply increased in regenerative units at 48 hours, suggesting that miR-31 was required for regeneration after injury. They next studied mice engineered to have higher than normal miR-31 or no miR-31 at all. Mice with higher levels of miR-31 had larger intestinal crypts containing a higher number of stem cells and fewer mature specialised cells. Stem cells also multiplied faster in mice with elevated levels of miR-31. Loss of miR-31 had an adverse effect on regeneration after radiation, with a greater proportion of cells dying in these mice than in normal mice. But switching on miR-31 activated the dormant ‘reserve’ stem cells, allowing them to replenish the depleted pool of growing cells. Given this role in accelerating growth, the team considered that miR-31 may also be involved in tumour promotion. Indeed, chemicals that mimic miR-31 increased growth of bowel cancer cell lines, and caused larger tumour volume in mice. Of greatest significance, however, was the observation that mice with tumours caused by loss of a gene called Apc developed far fewer tumours when miR-31 was deleted. As loss of Apc is a hallmark of human bowel cancer, miR-31 could be a potential therapeutic target for the disease.